A mediterranean-inspired dish for lunch today, from our in-house marketing man, Kurt. 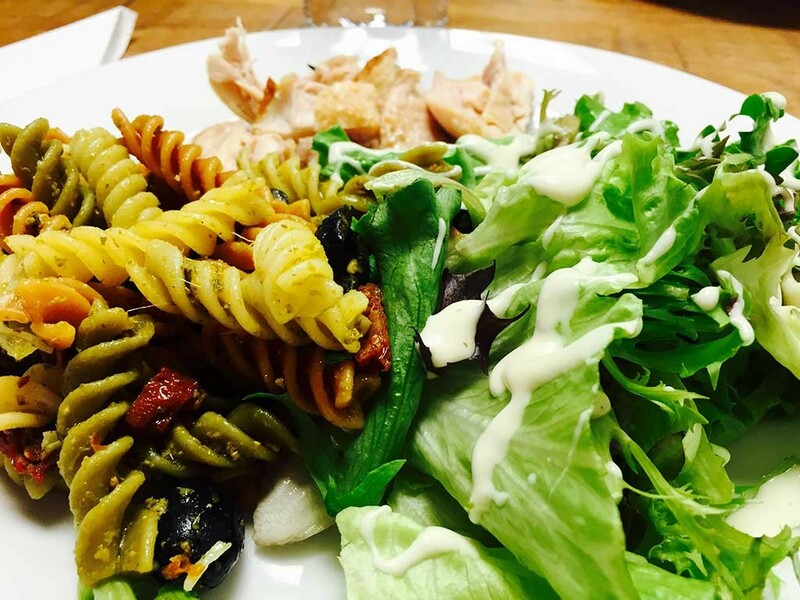 A delicious tricolour fusilli pasta, tumbled in a super-tasty green pesto, black olives and tangy sun-dried tomatoes. Served with a side of roast chicken thighs and a freshly-tossed and dressed salad. Delicious.